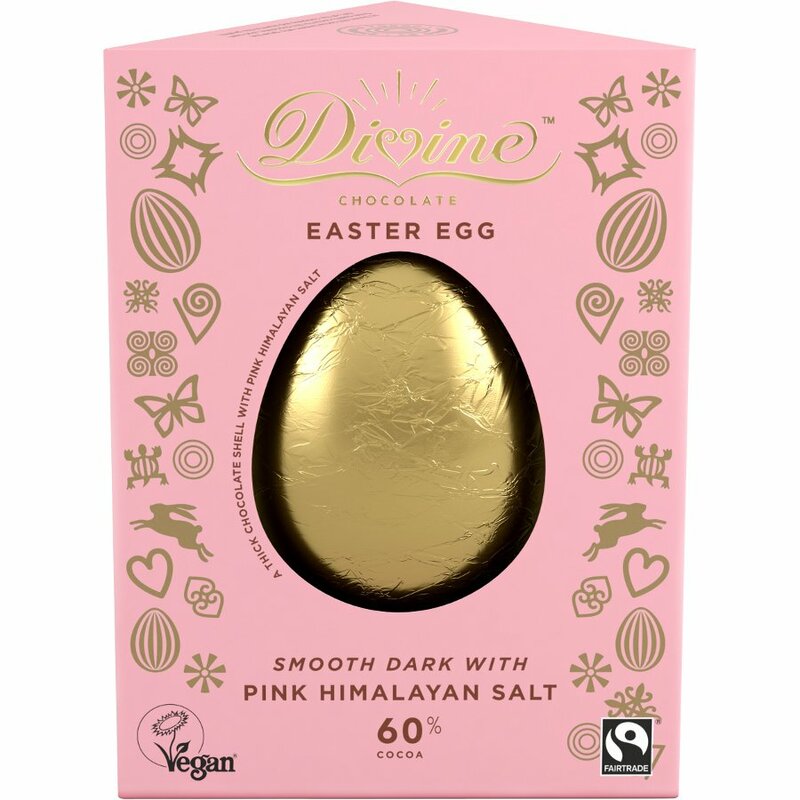 The Divine Dark with Pink Himalayan Salt Chocolate Easter Egg - 100g product ethics are indicated below. To learn more about these product ethics and to see related products, follow the links below. 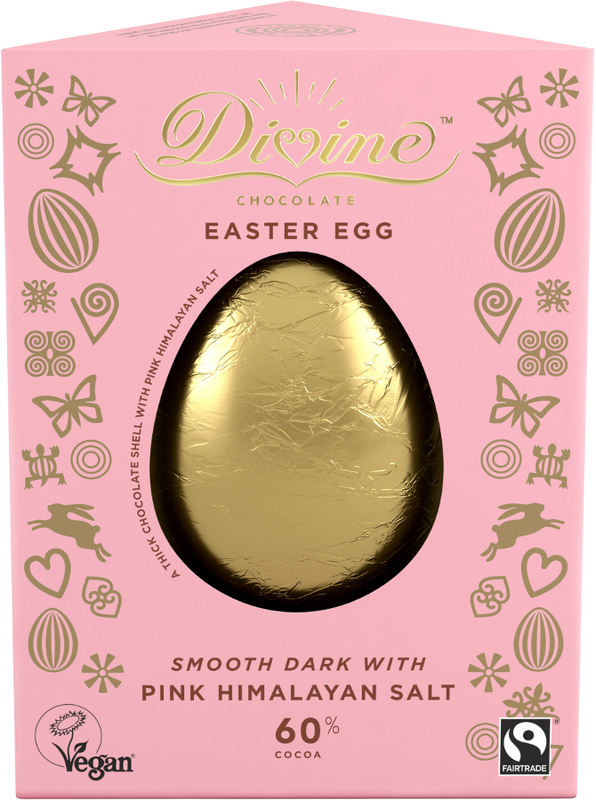 There are currently no questions to display about Divine Dark with Pink Himalayan Salt Chocolate Easter Egg - 100g. 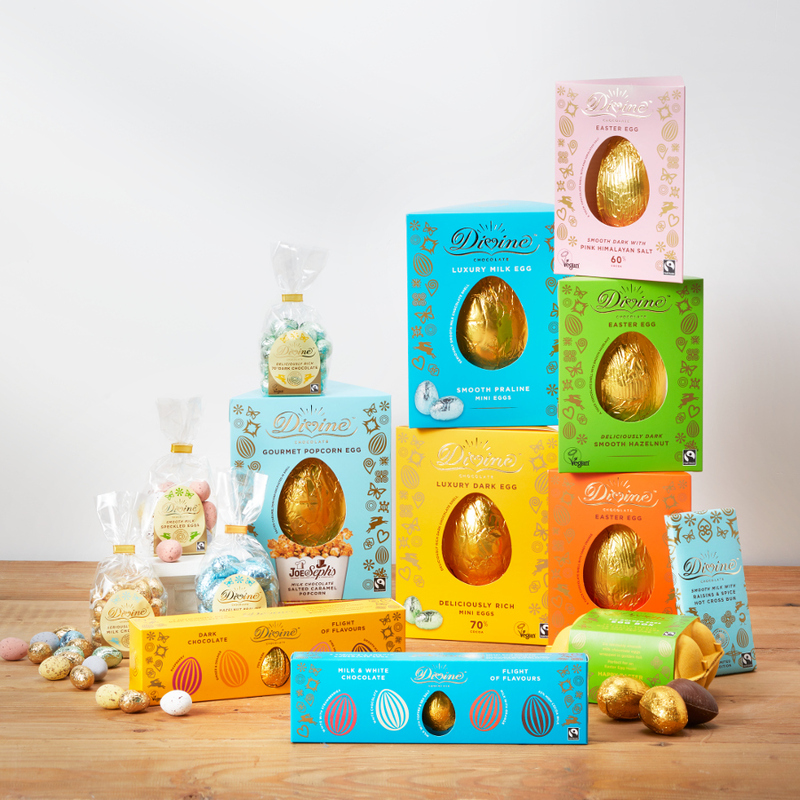 Divine Chocolate are world renowned for their delicious, fairtrade , creamy, heavenly chocolate that's good for the producers, as well as for you. Divine aim to give chocolate lovers the opportunity to indulge in their favourite treat and support a fairer system of trade at the same time, supporting a workers cooperative in Ghana. Divine Chocolate work with Kuapa Kokoo, a pioneering cocoa farmers cooperative in Ghana, dedicated to producing high quality cocoa, whilst running a democratic organisation with the farmer's interests at heart. Kuapa Kokoo was founded in 1993 and since then has grown from strength to strength. Kuapa Kokoo own 33% of the company that own Divine Chocolate, meaning they influence how the company is run and ensure they earn their share of the profits. Kuapa Kokoo workers are guaranteed a good price for their beans and long term trading relationships to help them out of poverty.